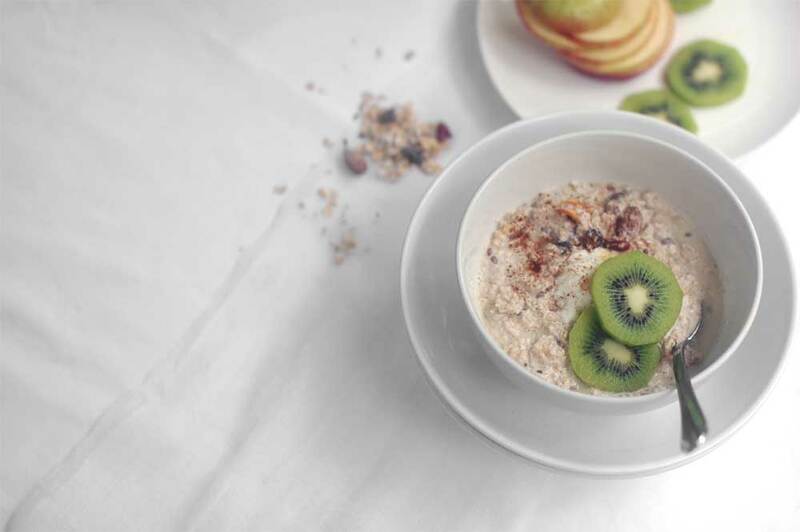 Our new House-brand organic Bircher Muesli is a mix of creamy oats with almonds, flaxseeds, plump sweet fruits (goji berries, apple wedges and sultanas) and a generous helping of cinnamon. 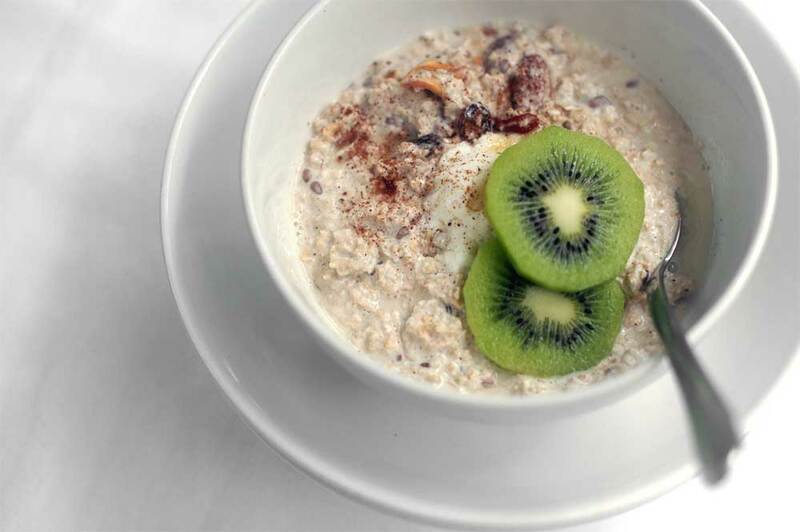 Bircher Muesli makes a great weekday breakfast as it can be prepared in advance and stored in the fridge for about five days. In fact soaking the oats immobilises phytic acid (which naturally occurs in all grains) thereby improving their nutritional benefit and digestibility. Top your bowl with a different seasonal fruit for every day of the week to keep things fun: berries and diced stone-fruit are wonderful in summer while stewed rhubarb and poached pears are delightful in winter… and sliced banana with extra cinnamon is just fab all year round! 1. Grate apples and combine with lemon juice in a large bowl (avoid using plastic: ceramic or pyrex is best). Add muesli, yoghurt and water or juice and soak, covered, overnight in the fridge. 2. In the morning, divide among bowls and top with a dollop of yoghurt, a drizzle of flaxseed oil, fruit and a dusting of cinnamon.